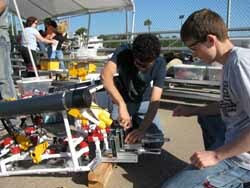 On Saturday, April 18, 2009, the Cornerstone Academy Robotics Team of Gainesville, FL competed in and won the 2009 MATE Florida Regional ROV competition. 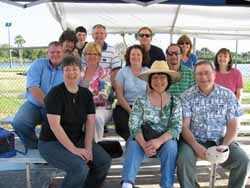 Cornerstone is a second time winner of the Florida Regional. 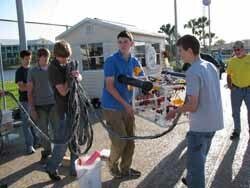 The 5 th annual regional competition was held at Brevard Community College-YMCA Pool in Cocoa, FL and consisted of one underwater mission with four separate tasks. 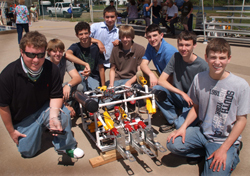 By winning the Florida Regional, the Cornerstone Academy Robotics team qualified for the 2009 International ROV Competition set in Buzzards Bay , Massachusetts , June 24-26, 2009 at the Massachusetts Maritime Academy. 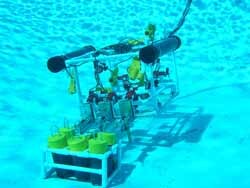 Their ROV framework consists of PVC pipe and fittings and they modified waterproof bilge pumps for all of their propulsion motors and gripper motors. 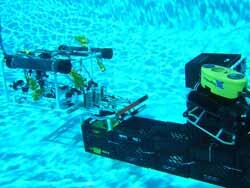 The team controls the ROV using switches that are connected to the ROV with a 60’ tether. They monitor the mission progress by viewing images sent to their control center by six on-board TV cameras.